The goal of the Eastern Bluebird Rescue Group is to increase the population of these beautiful song birds in our area. We are working toward that goal by building bluebird houses and through educational presentations. Our volunteers have built over 265,000 bluebird houses and hundreds of wildlife presentations have been conducted for a wide variety of groups. 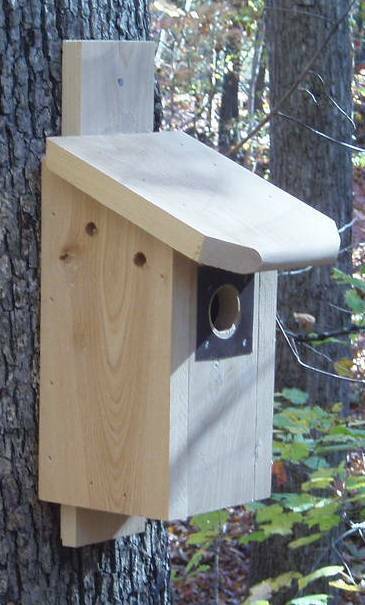 Our bluebird houses are constructed by volunteer craftsmen at our factory in Warrenton, North Carolina. Through many years of constant field research we have developed what we believe to be the world's best bluebird house. 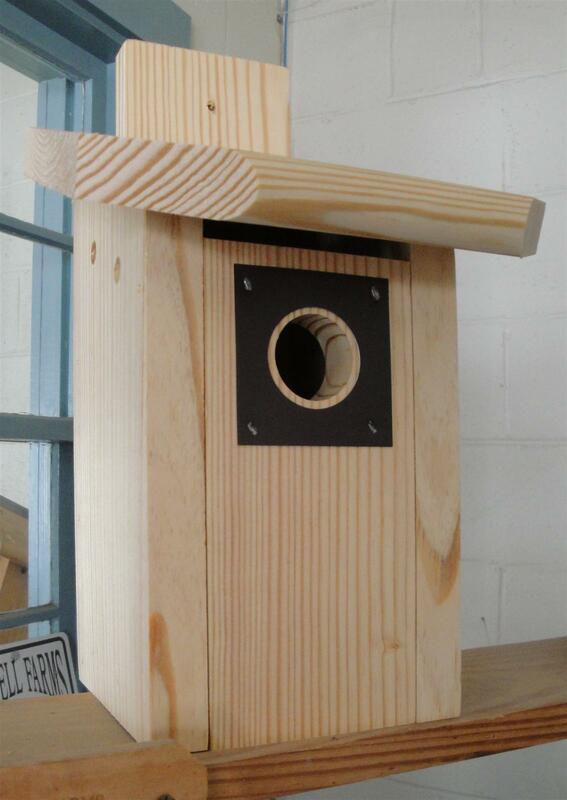 We have studied many types of bird houses and have combined the best qualities of each into our houses. They are constructed from western heart pine or cypress and will last for many years. These homes feature a predator door guard, hinged door, and grooves to help the chicks emerge when the time comes.